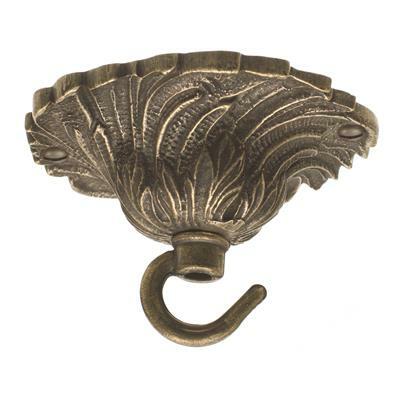 A ceiling rose is supplied with all our pendants and lanterns. 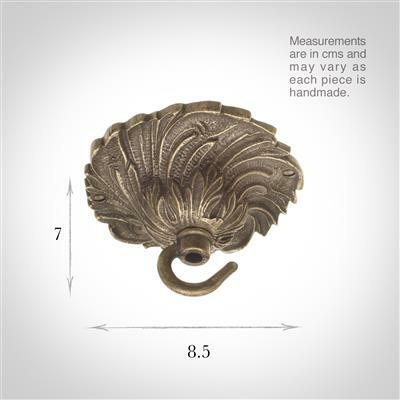 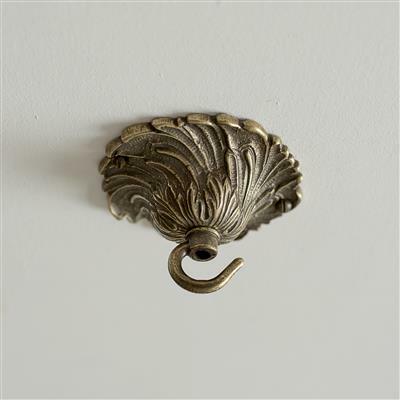 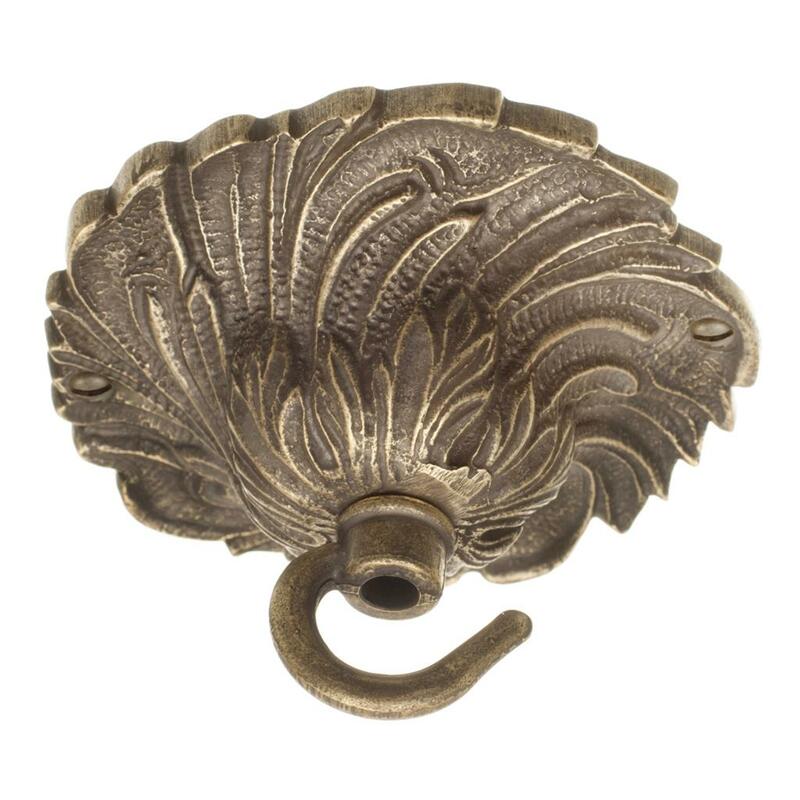 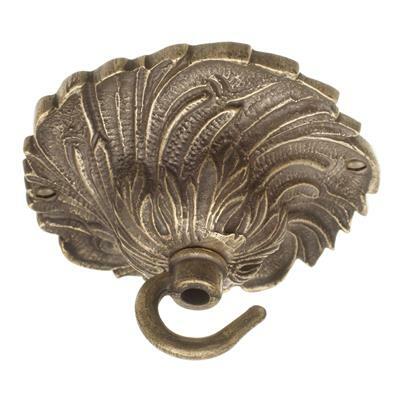 This solid brass Rococo style ceiling hook with a beautiful, lightly antiqued finish may also be purchased separately to add charm to your lighting scheme. Additional information: This slim ceiling rose has a flush-fitting plate, please call us if you need fitting advice. We also make the Fordham range of ceiling fixtures, which simply fit over an existing plastic rose fitting.